You are going to Watch Naruto Shippuden Episode 377 English subbed online free episodes with HQ / high quality. 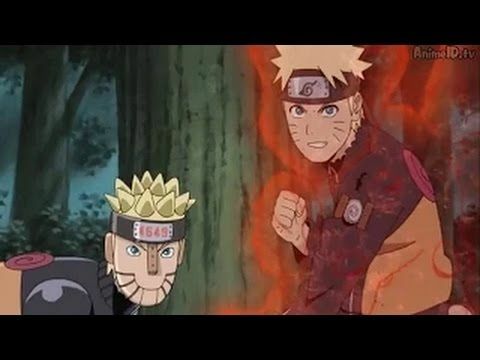 Stream Anime Naruto Shippuden Episode 377 Online English sub Naruto vs. Mecha Naruto. After Mecha-Naruto defeats Shikamaru, it intercepts the group by firing missiles, forcing them to take a detour into the forest again with Choji and Kiba each attempting to take out the robot but are defeated when their strongest attacks countered. Eventually, the palanquin falling over since no one was holding it in the front, Mecha-Naruto attacks with Neji fending off the robot with his Eight Trigrams Palm Rotation. But Mecha-Naruto uses its amassed speed to counter Neji’s defense while knocking him and Yamato out. Though Kakashi decides to battle Mecha-Naruto, he finds himself at a disadvantage against an enemy he cannot copy and quickly defeated. With no more in its way, Mecha-Naruto proceeds to extract the Nine-Tails from Naruto before Gaara appears. However, Deidara appears and mocks Gaara into pursuing him to settle things.